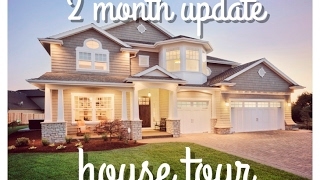 DREAM HOUSE TOUR! 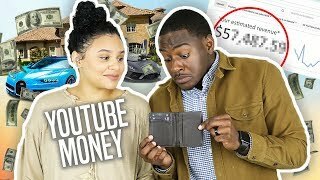 In this vlog, we went house hunting for our dream home! 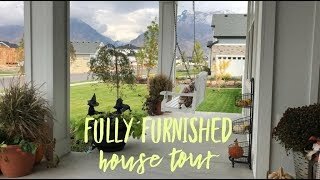 Kyrah and I take you guys along with us to tour our dream home and neighborhood. We are not really considering buying these right now, but it's good to get some motivation to keep working hard! In the next "house hunting" vlog, we'll tour some more affordable home that are in great neighborhoods and near good schools. A young Christian family of three enjoying life together. We document the everyday balance of a teen marriage and teen pregnancy. Our goal through our vlogs is to motivate, encourage, and inspire other young people to thrive in life despite their circumstances. On this channel we believe we aren't meant to do life alone. So, join the family by subscribing. Let's grow together. Kyrah and I met and dated at age 13 in the 7th grade (2009). Kyrah broke up with me after a long three month relationship, but we soon rekindled in high school. We went to every prom and formal together. She was a cheerleader, and I was the tracklete. We were high school sweethearts. We got married in early 2017 at the young age of 19. Months later, just before her 20th birthday, we found out Kyrah was pregnant with our first child. 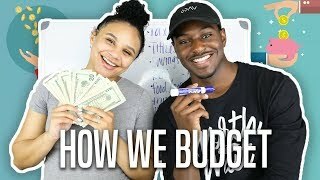 Since high school we have been documenting our college struggles, traveling, and everywhere else life has taken us. We pray you join us! Intro song is called "Evolvin'"
HOUSE HUNTING FOR OUR DREAM HOME! WE FOUND THE PERFECT HOUSE!